2017 Topps Star Wars High Tek marks the third year that the acetate brand has headed to a galaxy far, far away. While the basic premise of abundant pattern variations and one autograph per box remains, there are some new additions in both the visuals and the configuration. The 2017 Topps Star Wars High Tek base set has 112 total cards and is divided into two sections. 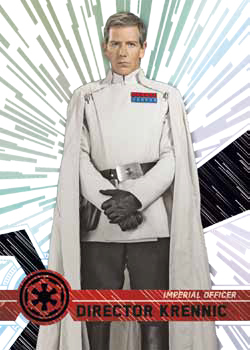 Half of the cards cover characters from Rogue One. The other half stretches across the rest of the Star Wars Universe including other films and television shows. As with past years of Star Wars High Tek and others under the Topps Tek banner, cards are done on plastic-like acetate card stock and have busy foil backgrounds that give them a distinct and modern look. The 2017 addition has new patterns included in the mix. Base cards are availablnot all be available in equal numbers. On top of the basic patterns are a number of parallels. These include Tidal Diffractors (/99), Ge with a variety of different backgrounds, making for all sortns will old Rainbow Foil (/50), Orange Magma Diffractors (/25), s of different chases. If it stays true to the past sets, pattern variation Green Cube Diffractors (/10), Red Orbit Diffractors (/5), Black Galactic Diffractors (1/1) and one-of-one Printing Proofs. One autograph is included in each eight-card 2017 Topps Star Wars High Tek box. More than 40 signers are on the checklist, some of whom haven’t had autograph cards for the franchise before. 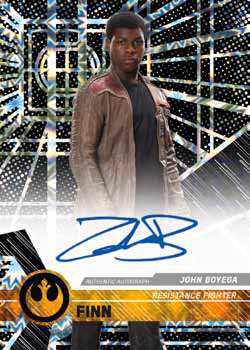 Base Autograph have the same general design as the main set. The following parallels are also available: Tidal Diffractors (/75), Gold Rainbow Foil (/50), Orange Magma Diffractors (/25), Green Cube Diffractors (/10), Red Orbit Diffractors (/5), Printing Proofs (1/1), and Black Galactic Diffractors (1/1). New to the brand are Dual Autographs that come with a pair of signatures. Notably tougher to pull, they have a smaller number of parallels: Orange Magma Diffractors (/25), Green Cube Diffractors (/10), Red Orbit Diffractors (/5) and Black Galactic Diffractors (1/1). Like the base set and autographs, 2017 Topps Star Wars High Tek inserts are done on acetate as well. They come in four themes. A More Elegant Weapon looks at characters who swing a mean light saber. 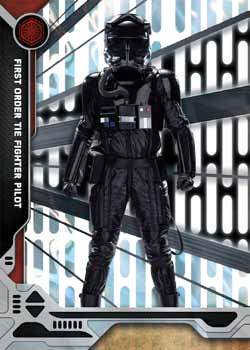 Other inserts include Heroes & Villains of Star Wars: The Force Awakens, Rogue One Vehicles, and Troopers. 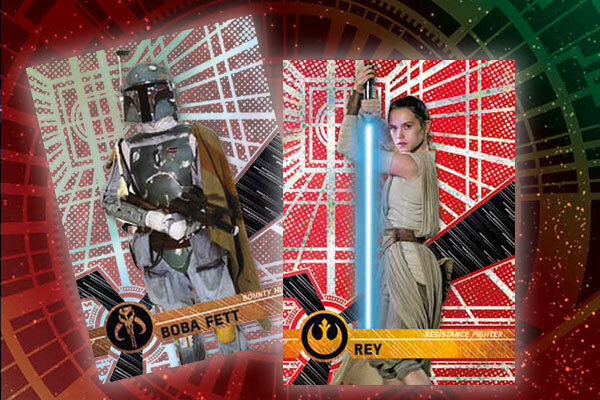 2017 Topps Star Wars High Tek is a hobby-exclusive product and won’t be found at retail.